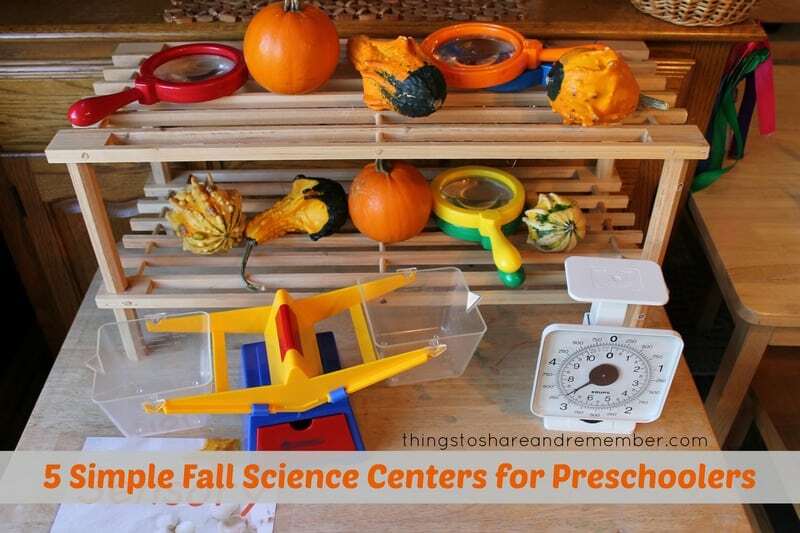 Setting up a couple simple fall science centers for preschoolers is super easy. 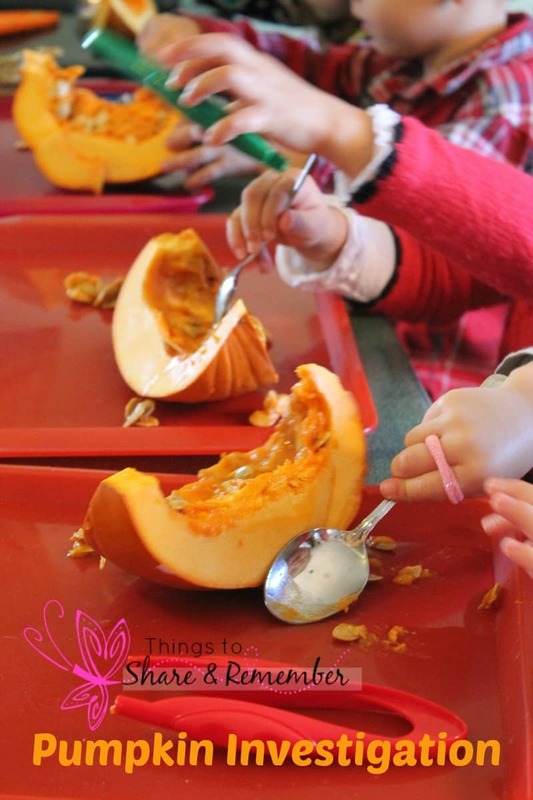 Sometimes my ideas get bigger than they need to be and I found a few that are quick to set up and fun for preschoolers. Weighing small pumpkins and gourds really covers science, sensory, and math. 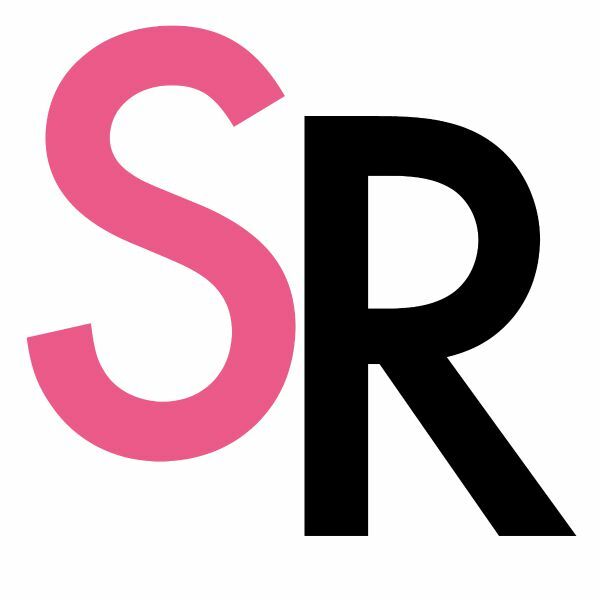 I chose to keep the materials available simple – just some magnifying glasses and scales. 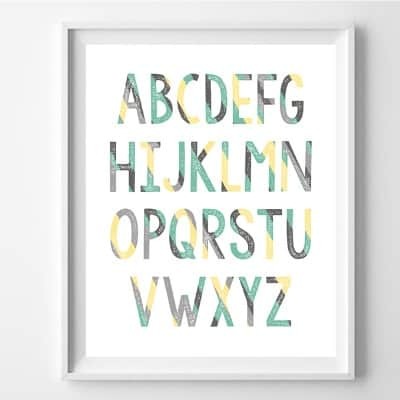 The writing center is nearby for pencils, paper and clipboards. 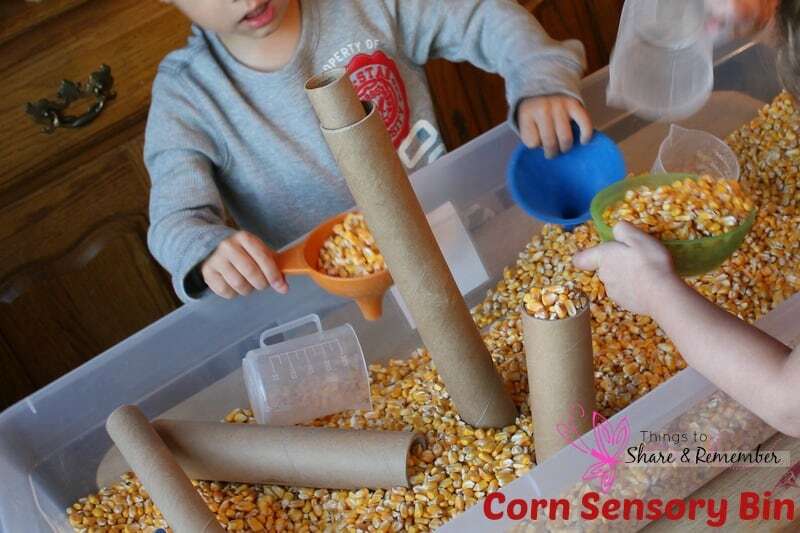 Our corn sensory bin is always a hit, especially if there are cardboard tubes available. Save heavy duty cardboard tubes (ours are from saran wrap or foil, etc) so they can be used again and again. 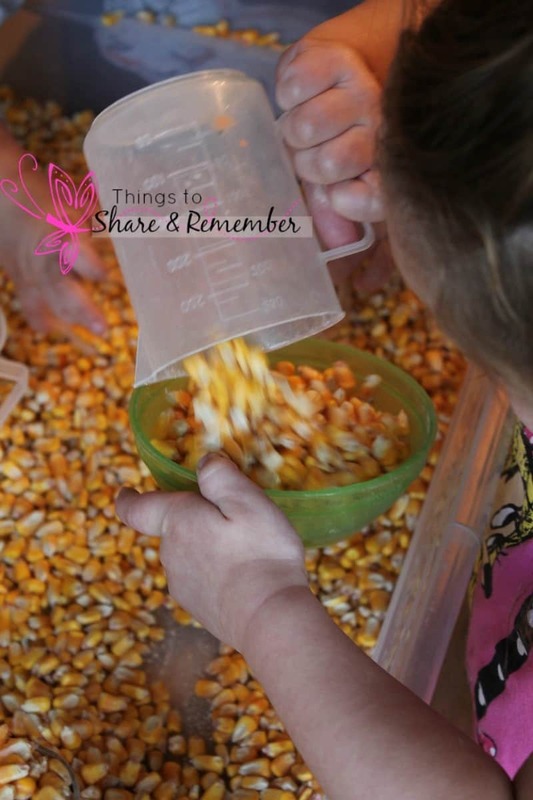 Pouring, scooping, filling involves the senses, mathematical and scientific thinking. 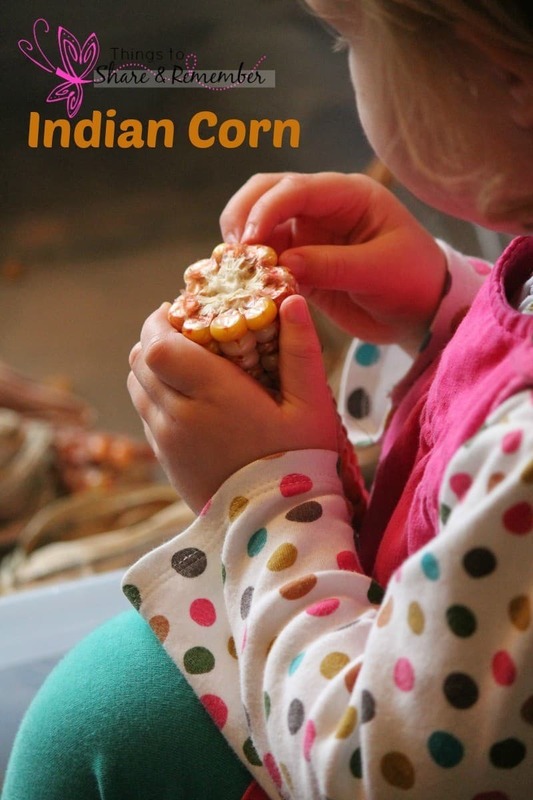 Cobs of indian corn for picking kernels off the cobs allows for trial and error, problem-solving, sense of accomplishment, development of fine motor skills and eye-hand coordination. 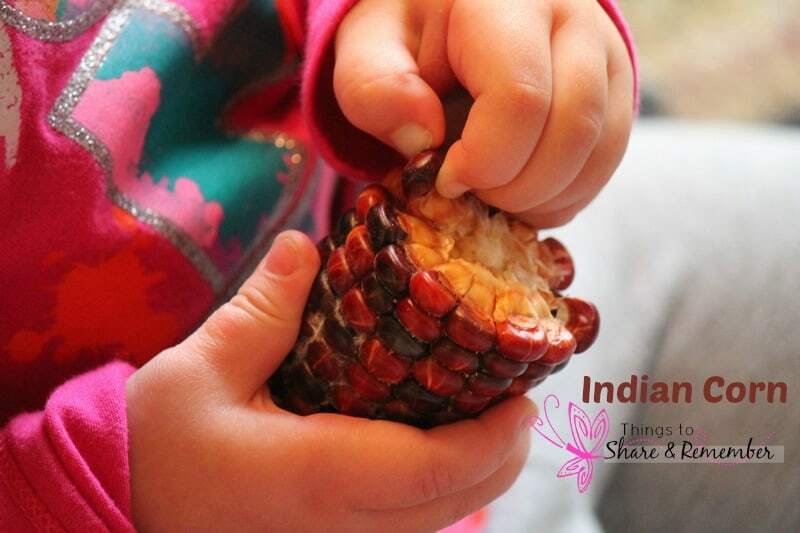 It also allows children to see items from nature up close and personal. 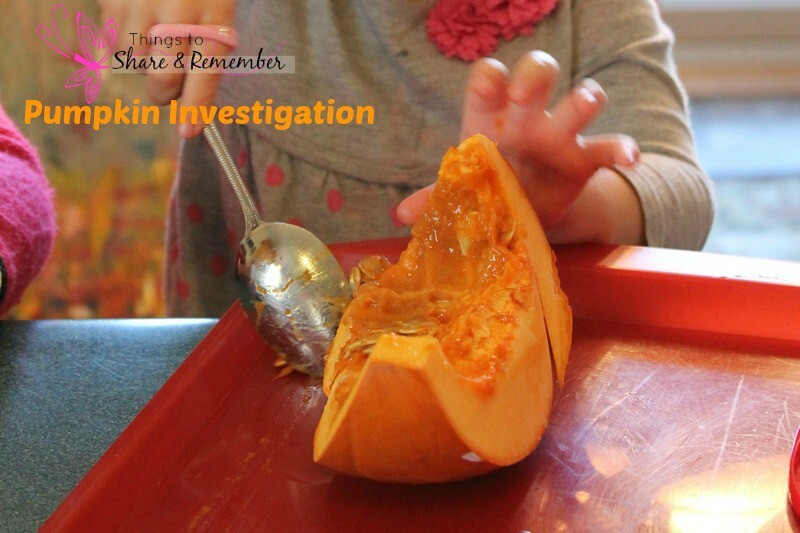 Cutting open a pumpkin is a simple investigation- the children wonder what’s inside, discover how a pumpkin smells, what it feels like. 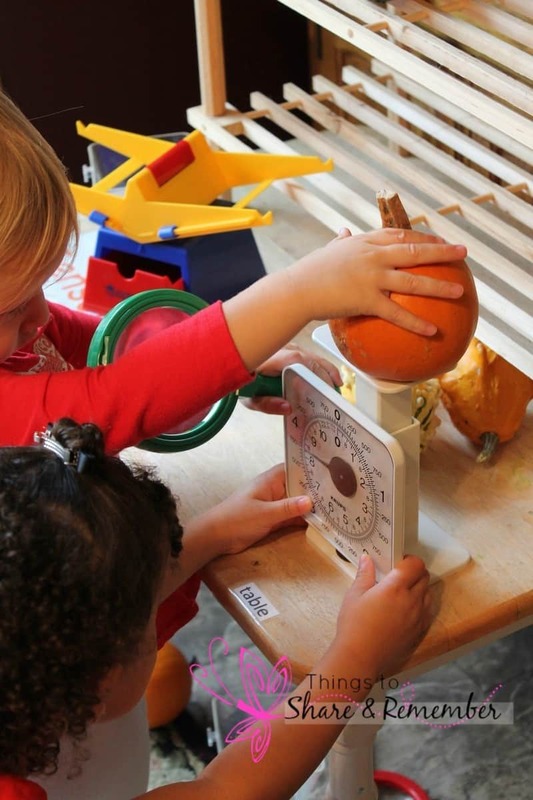 With this hands-on experience, children can begin to discriminate the properties of nature using their senses. 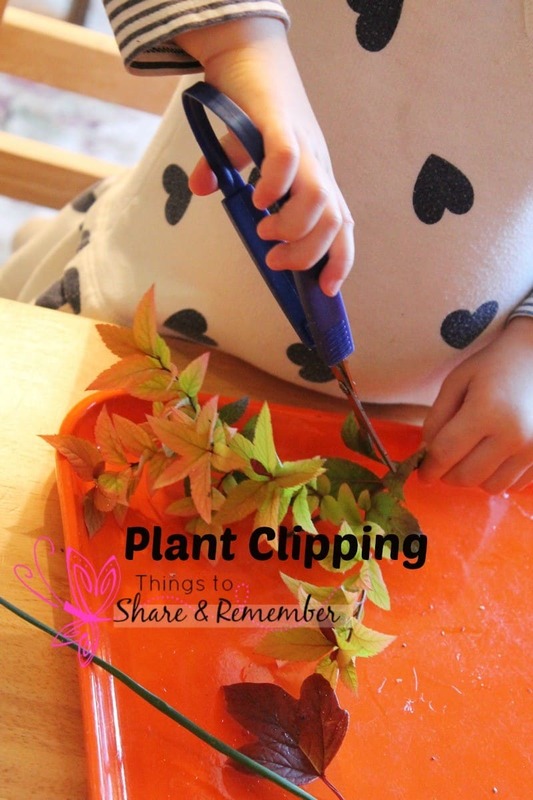 Exploring fall plants and colors through plant clipping also helps develop fine motor skills and encourages the use of small hand muscles either with scissors or by tearing. 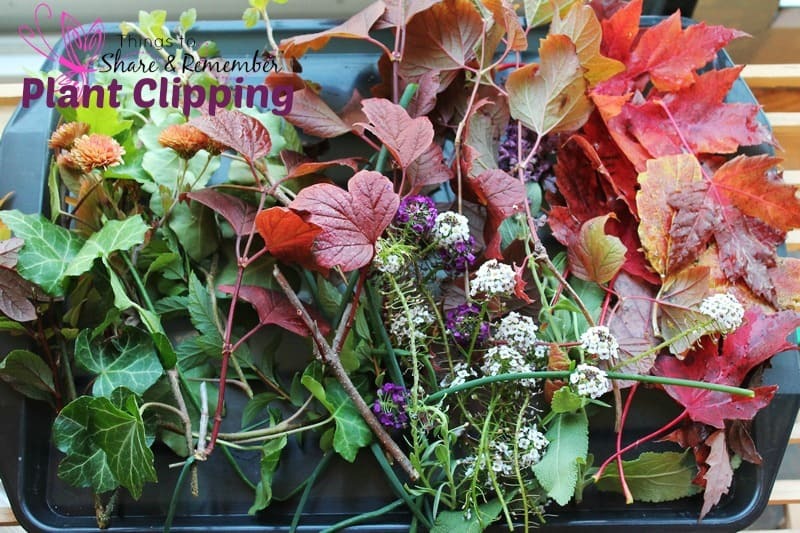 Children can walk through the yard looking for plants they would like to include on the tray. 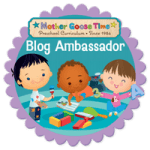 The chives offered a sensory experience as well!